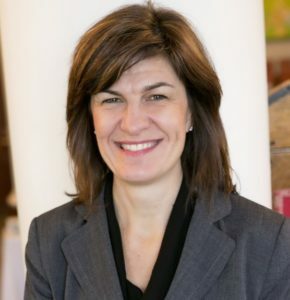 Maureen Shuell is a bilingual, government relations, communications and event strategist with over 25 years of experience in senior roles in political and not-for-profit environments leading communications’ strategies, government relations’ projects, large-scale conferences and trade shows. She has prepared and accompanied delegations for meetings with MPs, orchestrated media events on Parliament Hill and managed large scale website and digital projects. For over a decade she led communications and events for the Canadian Urban Transit Association. In 2012, she founded the consulting firm, RendezVous Communications with a focus on Bringing People and Ideas Together through integrated issues management, media relations, social media, government relations’ strategies and meeting facilitation, with a lens on the sustainable transportation, infrastructure and clean technology sectors. Among others, she has worked with environmental, ecological, and clean technology organizations, transit systems, trade associations, academic institutions, the Canadian Mental Health Association, the National Capital Commission, and in senior political strategist roles at Queen’s Park. Maureen is a member of CanSPEP (Canadian Society of Professional Event Planners), the Toronto Region Board of Trade, the Ontario Nonprofit Network (ONN), and ITS Canada She has an extensive professional network, and is actively involved with the Women’s Transportation Seminar (WTS) and the Women’s Infrastructure Network (WIN). We also have a strong professional network of skilled colleagues to bring in for specific roles and expertise as required.